10 years ago (in the year 2000) while working for the Netscape/Sun Microsystems alliance, I was doing some research on the future of IP addresses. IP addresses are unique numbers assigned to devices on a computer network to allow for communications between those devices. Most computers use version 4 of IP addressing which allows for approximately 4.3 billion (4.3 x 10 9) unique IP addresses. With the proliferation of mobile devices and other internet accessible devices, IP address exhaustion was/is predicted to occur in the next few years. Version 6 of IP addressing was constructed in 1998 and it currently can accommodate more than 3 x 10 38 IP addresses. That is 3 followed by 38 zeros or three thousand trillion trillion trillion IP addresses. With a number that large, we can assign unique IP addresses to almost anything. Because of version 6 of IP addressing, every device in your home could have a unique IP address. Currently, your home computer, wireless printer and smart phone are probably the only 3 devices in your home with IP addresses. In the future, your TV, your DVD player, your refrigerator, your washer, your dryer, your fitness equipment, your A/C, your alarm system, your wrist watch, your running shoes will all have IP addresses and will be social. As people spend less time watching television and more time on the internet and more proportional time on social media sites, advertisers will fight harder to attract your attention. Making consumer devices more social is the next progression. Your new social electronic devices and home appliances will look and function just as they did in the previous generation accept they will have a social component. After purchasing your device/appliance you will have the ability to opt into its social features. Upon starting you would give the device/appliance your wireless network information and your social media information (ex: Facebook ID, Twitter ID). 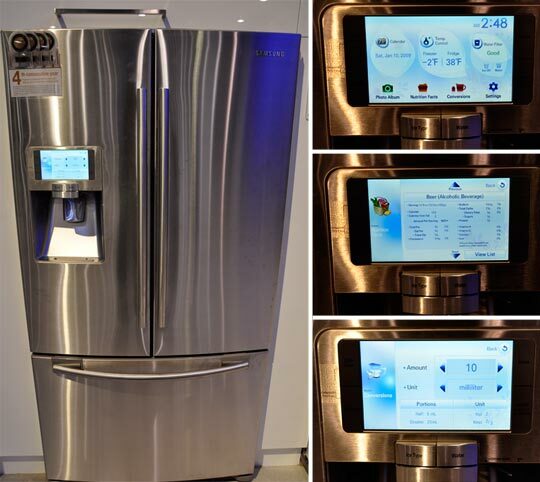 Imagine your refrigerator having internal cameras and knowing when it is full or empty and automatically sending images of its contents to your social media sites. This information would be huge for top consumable brands such as Kraft or Pepsi. Image your washer/dryer tweeting every time you do your laundry. “Eric just placed a large load clothes on heavy cycle in his Maytag washer”. This would be extra advertising for these brands. Every guy likes to brag about how much they can do in the weight room. “Eric just benched pressed 160 lbs 25 times in 15 minutes”. And this would not be “bragging” because the equipment is tweeting about my accomplishments. We are in a new age of openness and connectivity and these are just a few of the foreseeable possibilities. So, what do you think? Some say we need to understand the neurobiology of emotion to respond and others say that all we have to do is listen actively.